For over a year now I’ve been sending out a picture of the week on Twitter. (Follow the blog @2BTraveling if you don’t already!) Sometimes 140 characters isn’t enough to provide the story behind the photos so I expect this to be an occasional series with a little more about the photo of the week. In 2006 I was fortunate to take a 2-week trip to visit New Zealand and Australia, spending roughly a week in each country. It was a whirlwind tour to be sure. While we stayed in Queenstown, NZ with a couple of day trips, in Australia we split our time between Sydney and Cairns. Of course neither area can be fully explored in 3-4 days but we saw as much as we could. While in Cairns we visited the Rainforestation Nature Park, which was lovely. Our introduction to Australian wildlife kicked off a bit earlier than expected when we saw a giant monitor lizard in the grass just off the parking lot. Fortunately it was far enough away that it didn’t disturb anyone but it drew quite a crowd! Once inside we saw the expected cuddly koalas and more lizards and snakes. And then there was Jack. 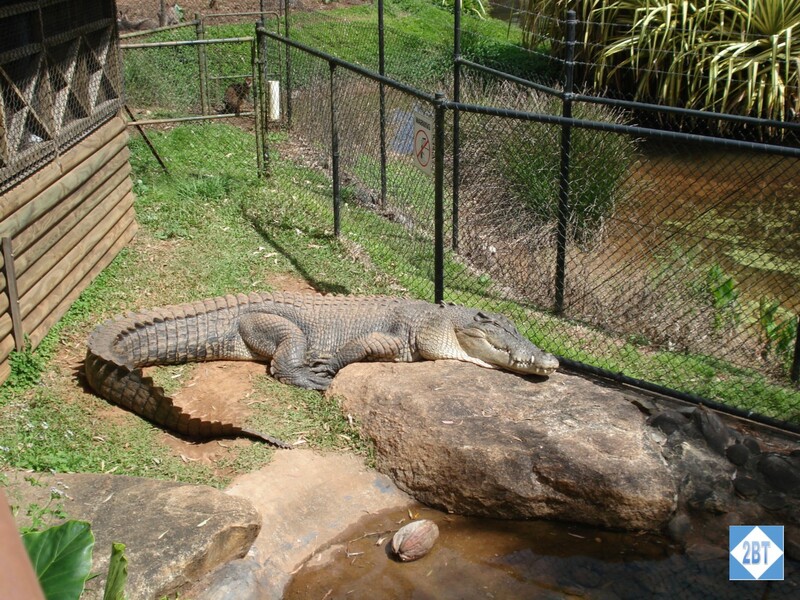 He’s a 17-foot saltwater crocodile who weighs over 1600 pounds and is thought to be over 50 years old. Over the years they provided him with 12 females as mates, but he killed every one of them, thus earning his name. Now he’ll be a bachelor for life. Something tells me he likes it that way.